In 2017-18 the Sports premium funding at Ben Rhydding Primary School was used to fund improvements to the provision of PE and sport for the benefit of pupils to help them develop healthy lifestyles. 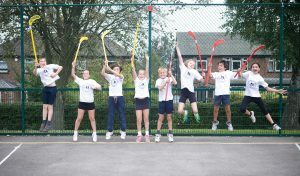 Much of the Sports Premium was spent on Evolve, a company who supplied the school with a specialist sport coach for two days a week to help increase active participation in sport. Evolve submit an impact report at the end of the year to demonstrate how effectively the sports premium has been spent, this report focusses on pupil outcomes and is placed on the school website. coaching, supporting and training to staff members to feel confident when delivering active lunchtimes. At Ben Rhydding our children learn to swim in Year 5. By the end of the 2017-18 academic year 97% of the Y5 cohort (31 pupils) could swim competently, confidently and proficiently over a distance of at least 25metres. 97% of the Y5 cohort could also use a range of strokes effectively (for example, front crawl, backstroke and breaststroke). 97% percentage of the Y5 cohort also could perform safe self-rescue in different water-based situations. At Ben Rhydding our children learn to swim in Year 5. By the end of the 2016-17 academic year 100% of the Y5 cohort could swim competently, confidently and proficiently over a distance of at least 25 metres. 100% of the Y5 cohort could also use a range of strokes effectively (for example, front crawl, backstroke and breaststroke). 100% percentage of the Y5 cohort also could perform safe self-rescue in different water-based situations. The Sports premium funding at Ben Rhydding Primary School has been used to fund improvements to the provision of PE and sport, for the benefit of pupils so that they develop healthy lifestyles. The funding total lump sum awarded for 2016/17 was £8,935. 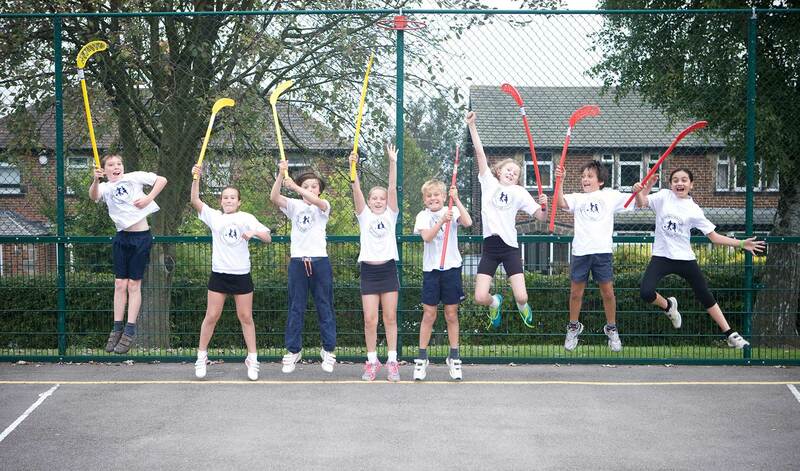 The grant is used to ensure that all children have the opportunity to participate and engage in a broad range of improved sporting activities regardless of their sporting ability. In order to enable them to do this, PE activities will be delivered by well-trained confident staff supported with the quality resources needed to achieve our objectives. Ilkley Grammar School Leagues allow for 246 units of participation in the Primary League (basketball, football, swimming, handball, netball) and 180 in the astro football league (assuming 9 players for each fixture) so a total of 426 opportunities for children to compete and participate. Plus all the in school sporting activities before, at lunchtime and after school means that Ben Rhydding Primary School provides over 1,000 chances per year to take part in sporting events! The Sports Premium was targeted to fund the following.